This post was originally published on Forbes on Dec. 16, 2015. Guest post written by Rob Wager. Rob is a Faculty Laboratory Demonstrator at Vancouver Island University's Biology Department. Last month, after twenty years in the regulatory system, the FDA finally gave approval to a genetically engineered (GE) salmon. This GE Atlantic salmon has been engineered to grow all year round so it grows up to twice as fast as wild Atlantic salmon. The GE salmon contains a Chinook salmon growth hormone gene controlled by an arctic fish promoter that keeps the gene turned on. The only proteins in the GE salmon are salmon proteins. The salmon that’s genetically engineered to grow faster than its farm-raised counterparts. The benefits of this GE salmon are clear. More fresh healthy salmon can be produced in less time, with less feed and therefore less environmental impact. Critics are worried these GE salmon could breed with and threaten wild Atlantic salmon. Wild Atlantic salmon are diploid (have two copies of DNA) whereas these GE salmon are triploid (three copies of DNA) which makes them sterile and unable to breed. Other common triploid foods include bananas and seedless watermelons. Further safety procedures include growing the fish in land-locked cold water tanks in Panama. In the highly unlikely event that salmon were to escape from the tank and find their way to the ocean, the warm water of the tropics would kill the cold water GE salmon. Together the sterility and the location safeguards make this salmon little, if any, threat to wild Atlantic salmon stocks. In order to protect wild salmon we cannot exclusively eat them. We need to farm salmon like we farm other animals. GE salmon will help reduce pressures on wild stocks and also make it affordable for families to increase healthy salmon in their diet. First generation GE crops have traits that benefit farmers and the environment. Next generation GE crops have traits that directly benefit the consumer. Unlike first generation GE crops which had genes from other species, the next generation of GE crops rely on the genes already present in the crop. This new type of breeding can dramatically advance food production. Nature has always used RNA to help control protein production. Recent advances in genetic engineering make this powerful tool accessible to crop breeders. Instead of inserting novel genes to generate new traits (first generation GE crops) this method turns off existing genes. It is called interfering RNA or RNAi. By reversing the direction of a gene, breeders can turn off the production of specific proteins. A wide variety of traits can be engineered with this method. Two new GE crops that were created with RNAi have recently been released to the market. 1. The potato that is genetically engineered to resist bruising and browning, and is healthier too. Using RNAi J.R. Simplot was able to shut down several potato genes to generate a potato that resists bruising and browning. This one trait could reduce potato waste by billions of pounds in North America alone. The other gene that was silenced results in far less acrylamide (a potential carcinogen) when the GE potatoes are cooked at high temperature. Even more exciting is the upcoming version of GE potato from this company. It will have all the above traits plus enhanced cold storage and late blight resistance. Presently potato production relies on harsh fungicides to protect against this deadly fungus. By inserting fungal resistance genes from wild potatoes, this next generation GE potato will be healthier, reduce waste and reduce environmental impact during production. 2. 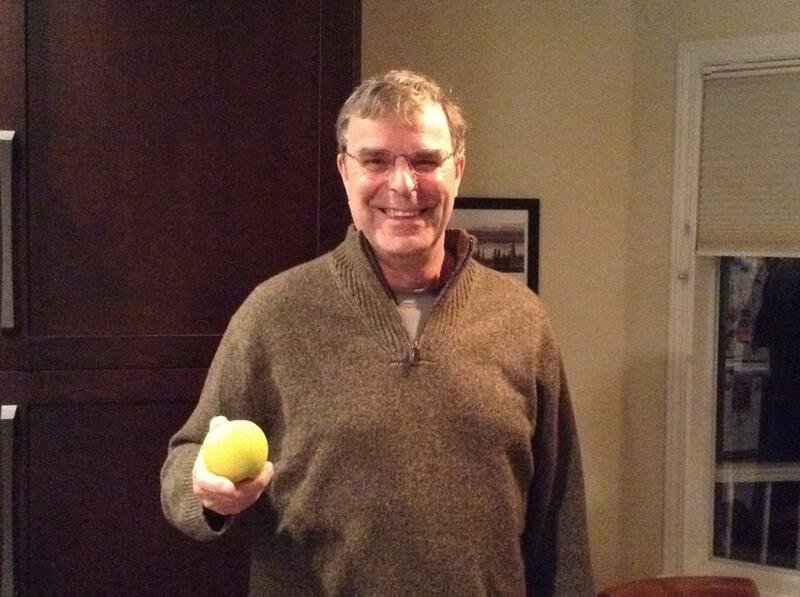 The apple that’s genetically engineered not to brown, and reducing food waste in the process. Fresh apples will quickly turn brown after being sliced. The browning characteristic is a reason many apples are thrown away. It is estimated that one third of all apples are wasted. A small company in British Columbia began research and development of a better apple over a decade ago. Using RNAi they turned off the genes for an enzyme responsible for browning. The result is ArcticR Apples . Soon parents will no longer take brown apple slices out of their children’s lunch box at the end of the day. First generation GE crops have produced huge benefits for farmer and the environment. This is why over 18 million farmers in 28 countries now grow GE crops. The next generation of GE crops will have traits that directly benefit the consumer. The first of these new GE crops rely on salmon genes in salmon, potato genes in potatoes and apple genes in apples.